With the 4th of July weekend so close, we can't help but procrastinate a little bit. We just got very excited/inspired after looking at Shopbop's ultimate summer closet. Although these looks don't really consist of dresses, we are in love with the bohemian styling. We think many of these looks would be perfect to wear to the beach or to a lazy Saturday lunch. Check them out and get inspired for what to wear on the 4th. Speaking of, what are you wearing on the 4th? Forbes posts world's most stylish cities. LA makes the cut. At TheStylist we are constantly reading up on anything and everything fashion or business related. We have long been avid fans of Forbes, especially the Forbes style section. So when ForbesLife comes out with an exceptionally good (or interesting article) we get even more excited. This article on the most stylish cities in the world is definitely up to par. We were quite excited to see that LA made the list at number 6. New York beat us, coming in at number 3. We were pleasantly surprised that the gap was as small as it was. 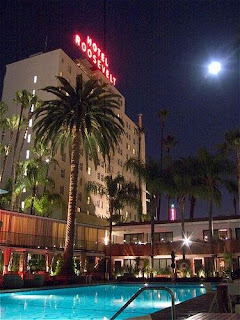 We really love and treasure the style that is LA and we fully support our city competing healthily with NY. The article gives LA credit for recently producing some very succesful designers; The Rodarte girls and Scott Sternberg of Band of Outsiders. Read the whole article to see what other cities were listed in the top 10. For only one day get %35 off of everything at rarechic by entering the code SUMMER. They have a few great sale items that would be absolute steals with the extra 35% off. We know we will be buying dresses to add to the collection. Check it out and happy Tuesday! This week we are dying over our newest dress by Karina Grimaldi. Grimaldi, originally from Buenos Aires, started designing in 2001 when she moved to Miami. All of her designs are made in the USA, with the highest quality of silks. This dress is the perfect bright color for summer and the cut is flattering on many different body types. We really wish that we could wear this dress every day. And no, we are not joking. Borrow this dress for $50 and we promise you will get compliments all night long. Visit Karina's site to view the rest of her collection. Here at TheStylist we are anxiously awaiting August 28th when we can finally see the full version of The September Issue. Sadly, we weren't at Sundance to view its debut and we haven't been invited to any pre screenings (yet!). For those of you who haven't heard of it, it is supposed to be the real "Devil Wears Prada", an inside look into the process of creating The 2007 September Issue of Vogue. 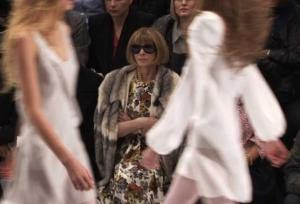 It gives an exclusive look into the life of editor-in-chief, Anna Wintour and an insiders view of the behind-the scenes action at the Vogue office. The documentary, directed by R.J. Cutler won the Grand Jury Prize for excellence in Cinematography at The 2009 Sundance Film Festival. We are in love with many different aspects of this Cynthia Vincent Dress. We love the print, we love the style, and we love the little bit extra that the belt adds. This dress is perfect for a summer wedding or a fancy brunch with friends. Borrow this dress for $50. Who she is: Miroslava Mikheeva-Duma, 24 year old Russian. What she does: Miroslava is an Events Correspondent for Harper's Bazaar Russia. Rumor has it she is also currently studying economy at The University of Moscow. Why we love her: She has such a compelling style, we don't ever get bored looking at pictures of her. She is a part of the jetsetting crowd and always is wearing or doing something that we find interesting. We love to live vicariously through her. We also think she would be pretty fun to hang out with. On her Style: This girl accesorizes everything. She piles on the jewelery, grabs the biggest bag and highest heels she can find and waltzes out the door. She always looks dressed up and she isn't afraid to try new trends. We would absolutely die to see the inside of her closet. pictures: 1,2,4 tfs. picture 2 sartorialist. For more pictures and info on Miroslava visit the fashionspot's thread on her. Tricky Thread dresses always put us in a good mood, since they are usually bright, fun and flirty. We just got this gorgeous yellow dress by Tricky Threads and it is no different. We have already had many people tell us how much they love it. We love that it could be dressed up with heels for a night out or dressed down with gold flats for a daytime party. We also think it would go perfectly well with a nice summer tan. Borrow this dress for $30. We can't get enough of her. Her style is so great and she seems so fun!